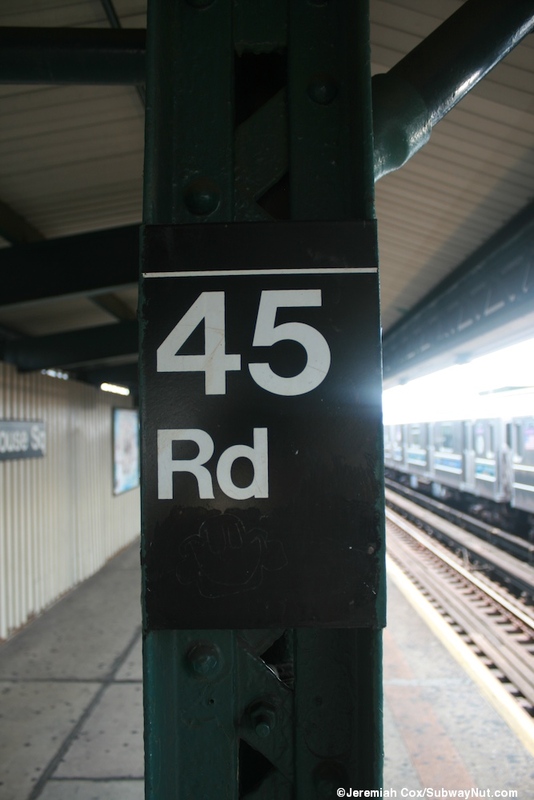 45th Road-Court House Square (renamed Court Square when the transfer to the IND E,G, and M subway opened in 2011) is the one elevated station on the two track line from Queensboro Plaza, through the Steinway Tubes and under 42 Street used by 7 trains. 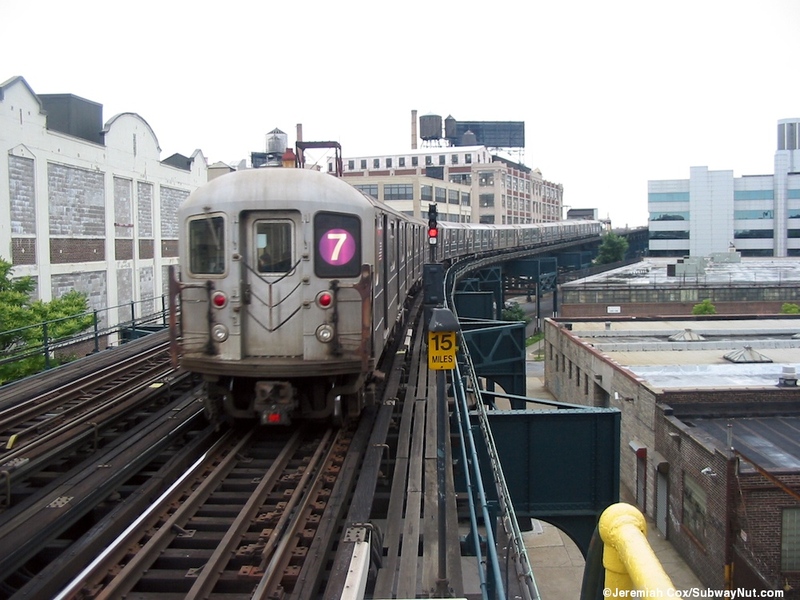 It is the only elevated station on the 7 line to have just two tracks and two side platforms. 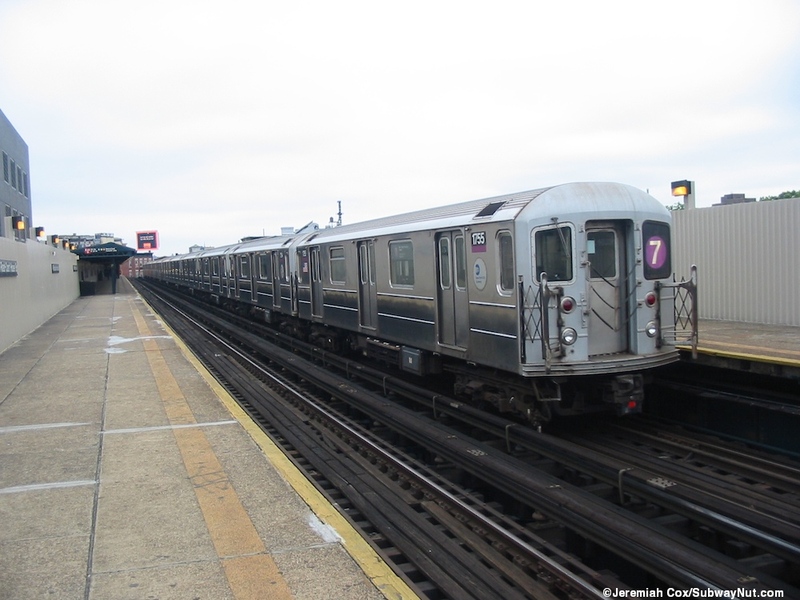 The station opened on November 5, 1916 and was originally just a simple local stop. 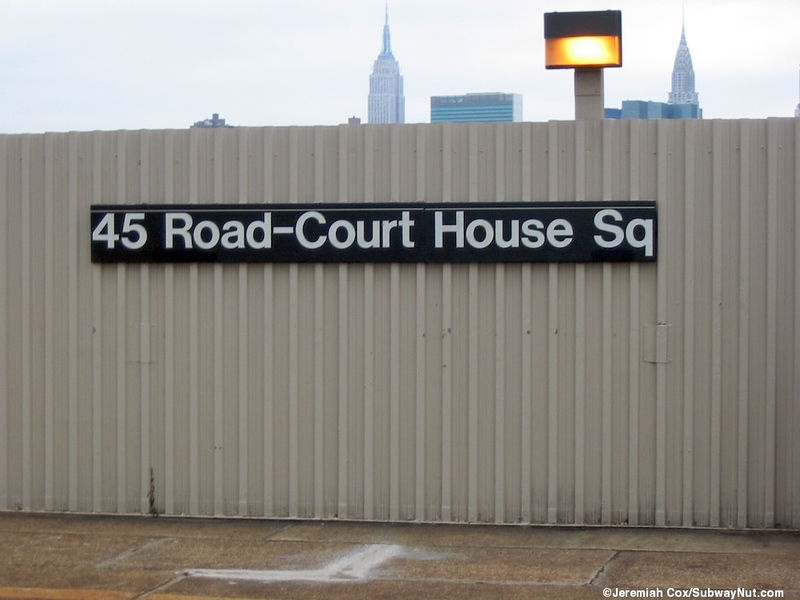 On August 19, 1933 the underground IND Crosstown Line G train's Court Square station opened with an entrance on the same block as entrances to the elevated. 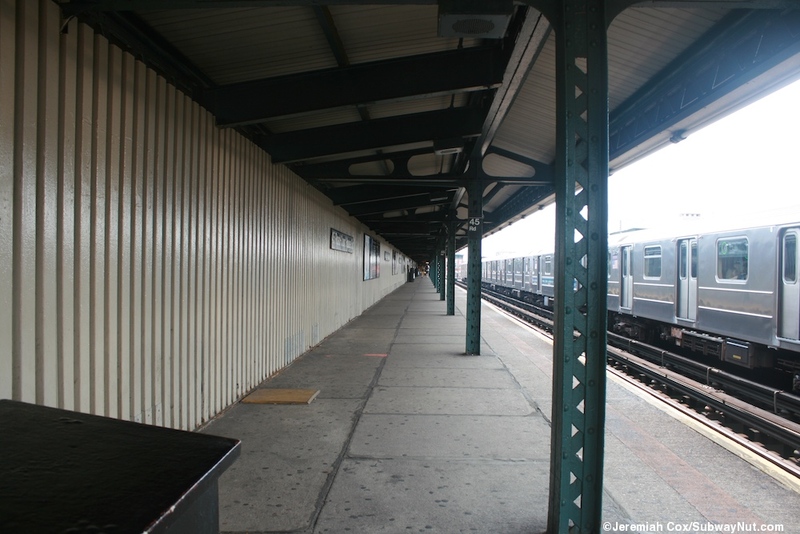 On August 28, 1939 another subway station, the 23 Street-Ely Avenue Station, opened as an infill stop on the IND 53 Street Tunnel that was completed beneath the elevated Steinway Tubes line crossing towards the northern end of today's platforms running under 44th Drive. 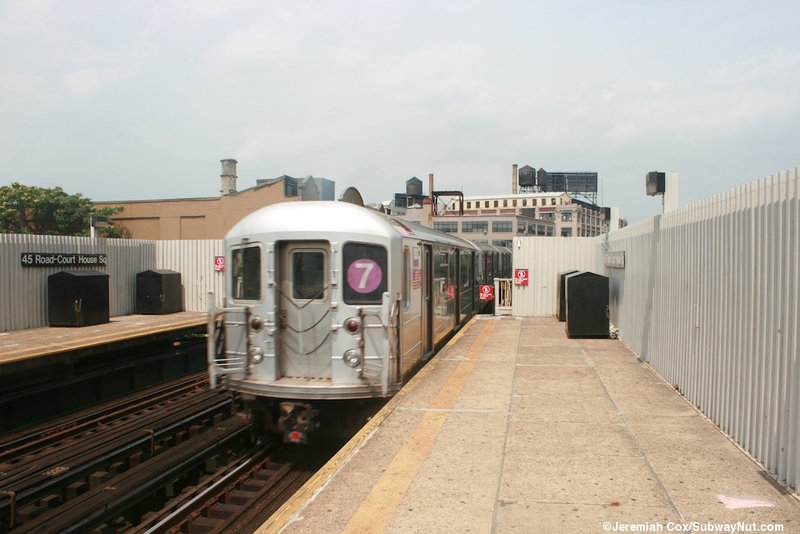 It took until December 2001 for any sort of free transfer to be implemented and this was first an out of system MetroCard only transfer form the elevated 7 train down to the subway station beneath. 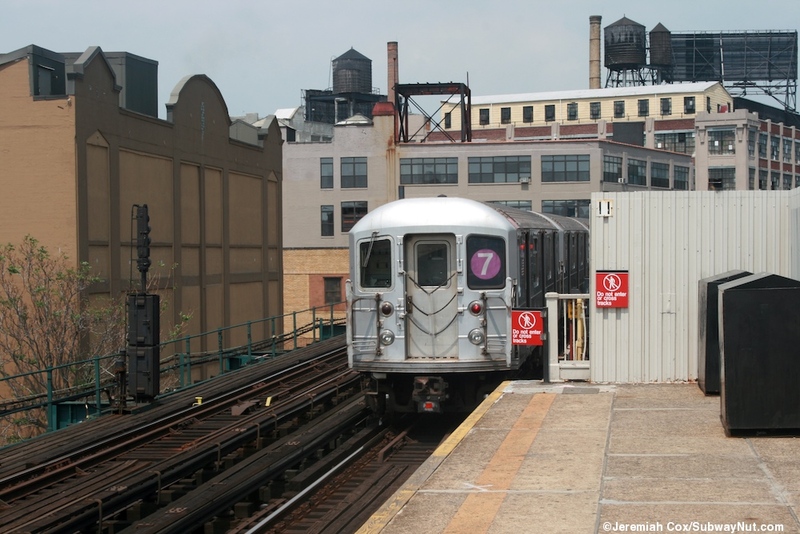 In 2009 construction began on a new glass enclosed transfer from the 7 train down to the G train's mezzanine and in turn the E and M trains via their new connection that opened in about 1990. 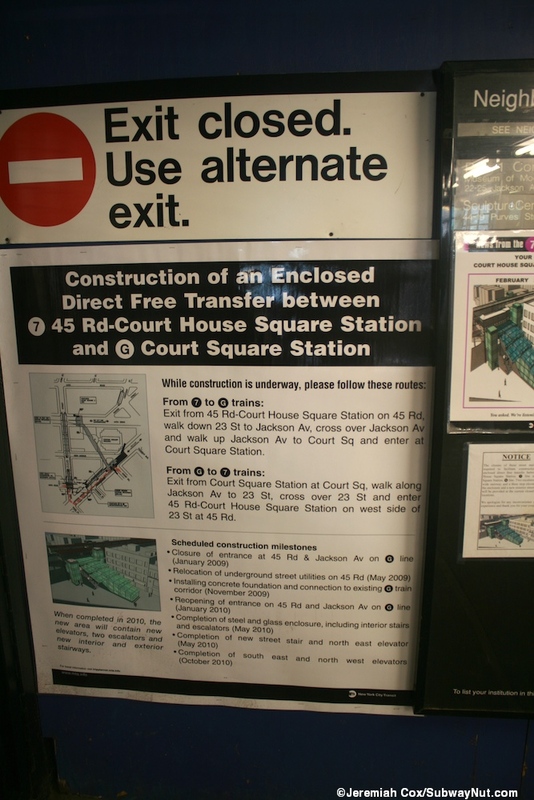 This new glass escalator, staircase and 3 elevators, connection from the elevated structure down underground, making the 7 train station fully ADA compliant, (the G and E,M stations are not, they lack mezzanine to platform elevators) opened on June 3, 2011. 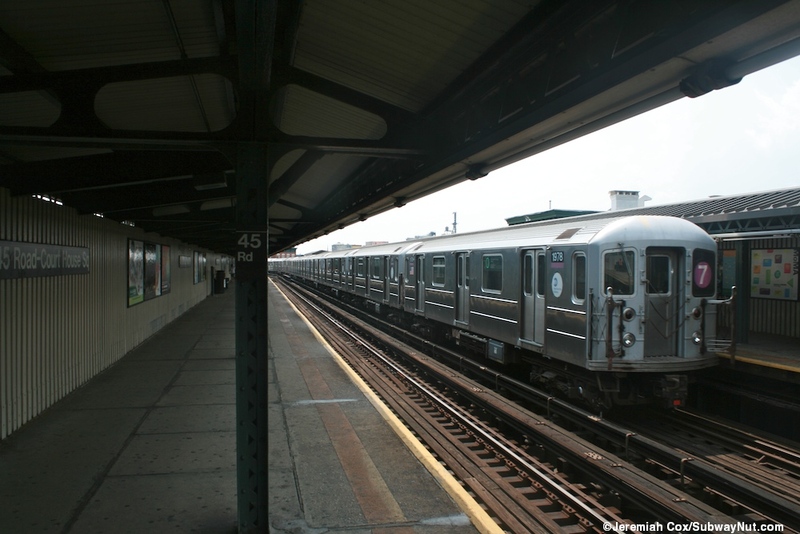 The subway platforms through weren't ADA compliant with un-level floors and the 7 train station (and the brand-new transfer) was closed, with trains bypassing the station in both directions from January 23, 2012 to April 2, 2012. 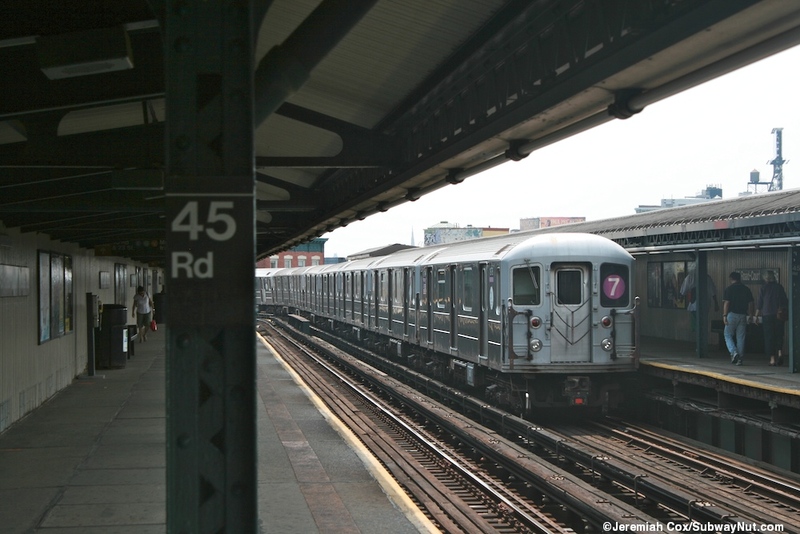 During construction a MetroCard Transfer was insituted between the Hunters Point Avenue 7 and 21 Street-Van Alst G train stations. 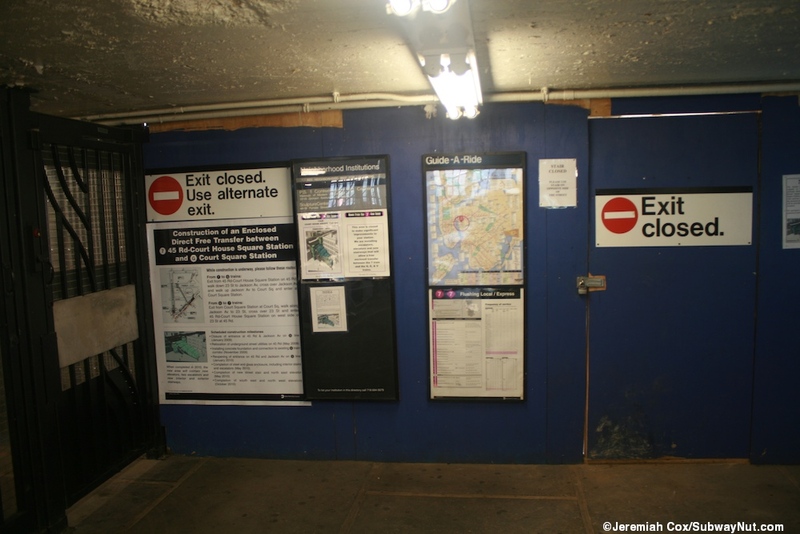 This resulted in the platforms being totally rebuilt. 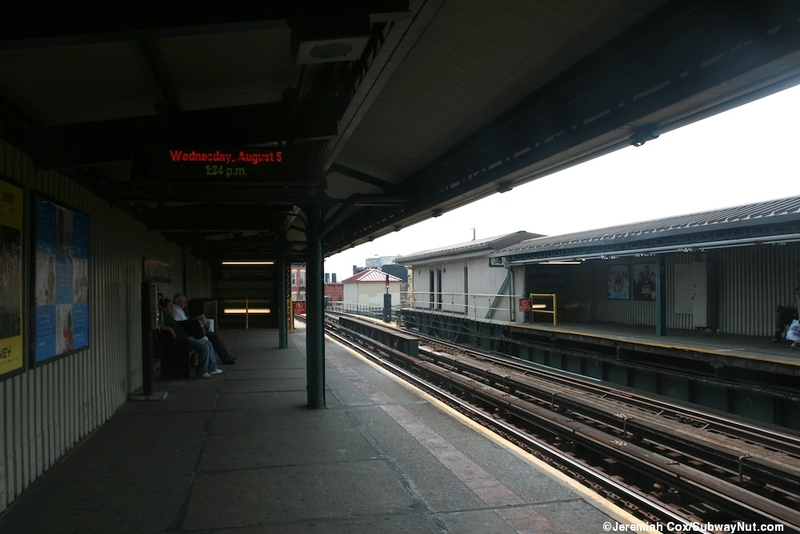 New green and cream colored windscreens with segments of black squares, some with mesh on them (that nearly look like windows, and allow waiting passengers to see the street again) replaced the cream corrugated colored windscreens that used to surround the full length of the platform. 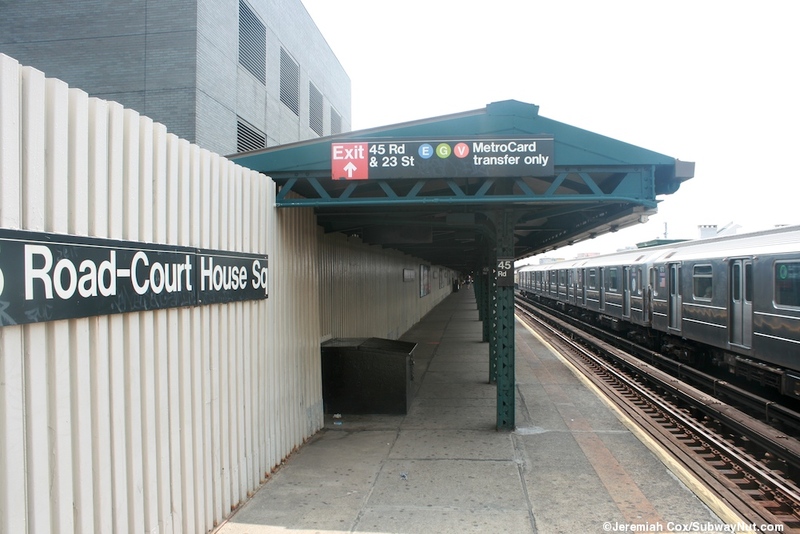 The platform's canopy location hasn't changed, covering the southern two-thirds of the platform. 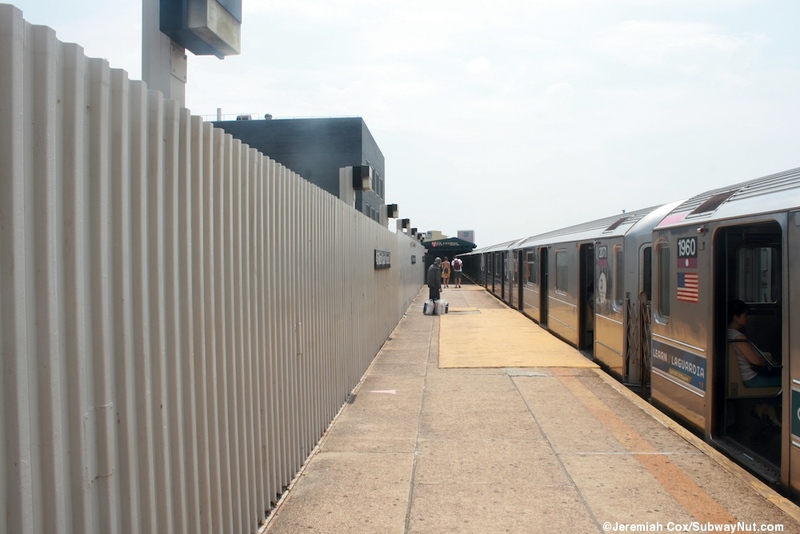 The platform's surface is now level, smooth with a tactile warning strip and minimal gaps for wheelchair boarding. 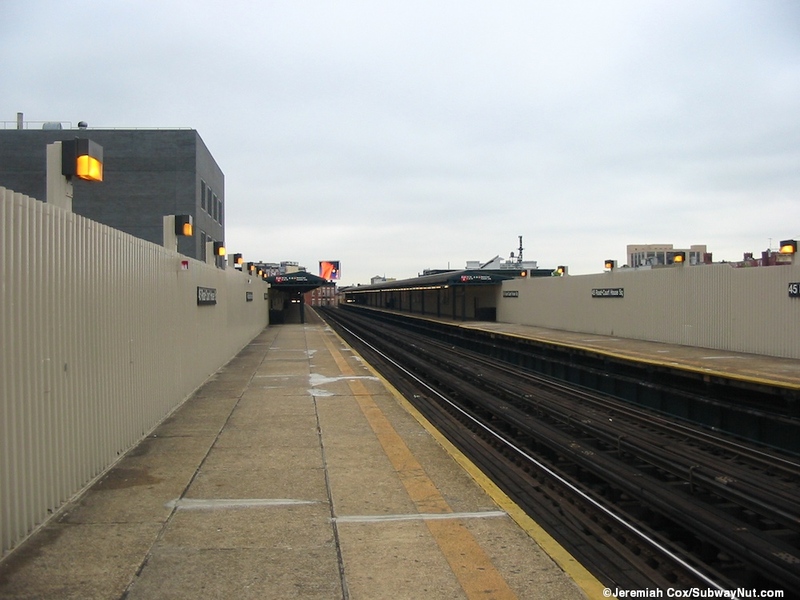 To leave this platform there is one exit at its extreme southern end. 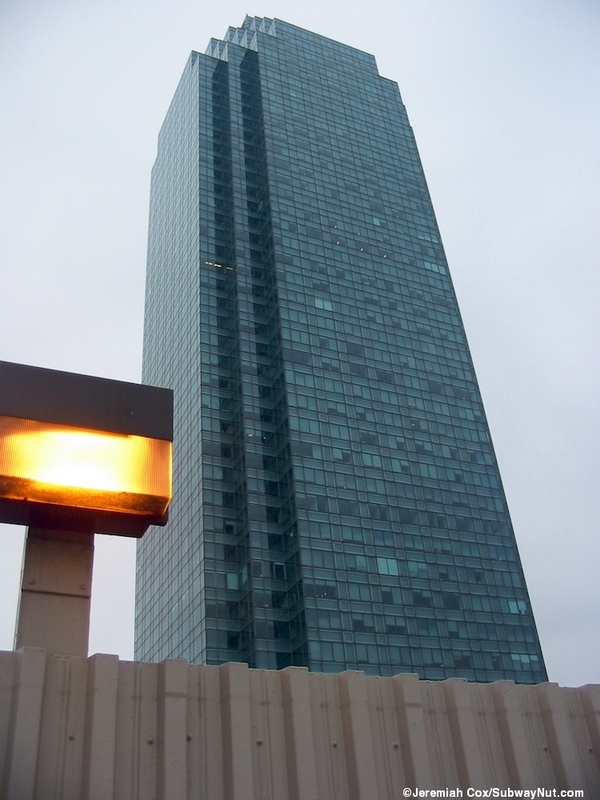 A single staircase and modern elevator in a shaft surrounded by glass lead down to a small mezzanine nestled beneath the platform. 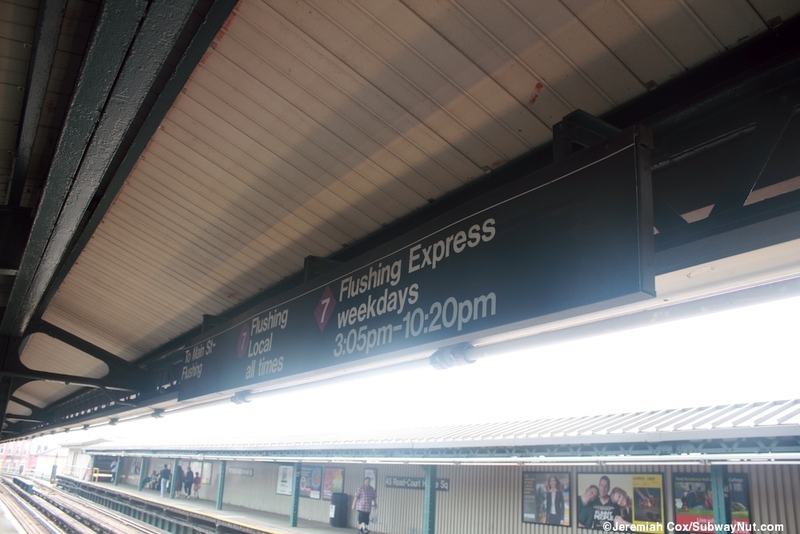 The elevator from the Flushing-bound platform stops at the mezzanine as an intermediate floor before continuing through the sidewalk and underground to the G train's mezzanine. The mezzanine has actual windows and a bank of turnstiles and token booth for fare control in the middle of it. Within fare control from the mezzanine two escalators and a staircase lead down inside a glass enclosure down through the sidewalk underground to the G train that make up the new free transfer. 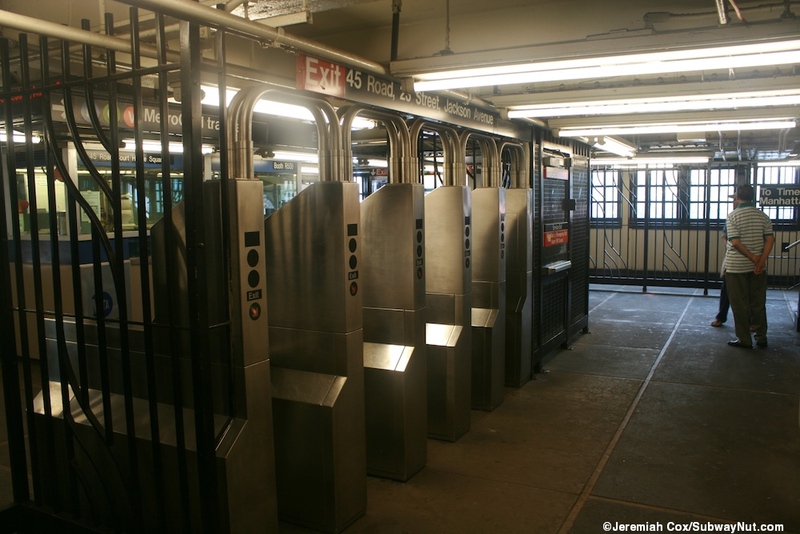 Outside of fare control alongside the new transfer is a glass canopied staircase and separate street elevator down to the NW corner of Jackson Avenue and 23 Street. 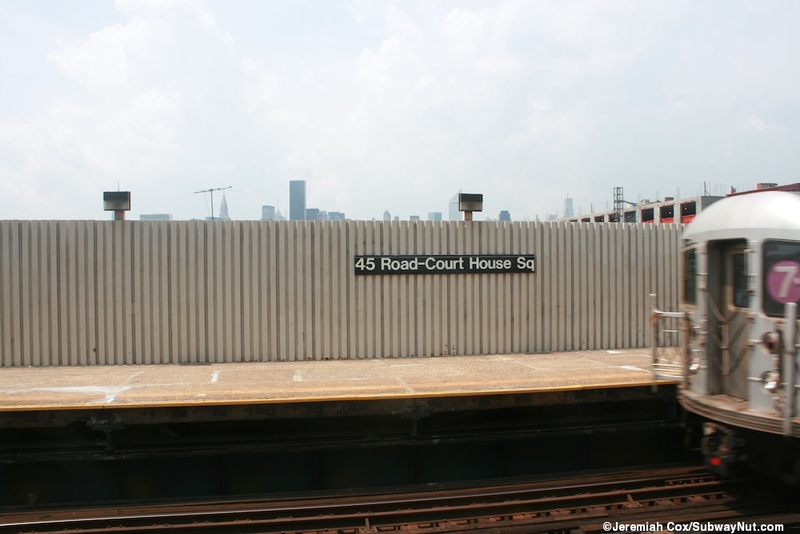 There is a final street stairs that has a conventional canopy like most elevated subway stations from the opposite side of the station house down to the SW corner of 45 Road and 23 Street. 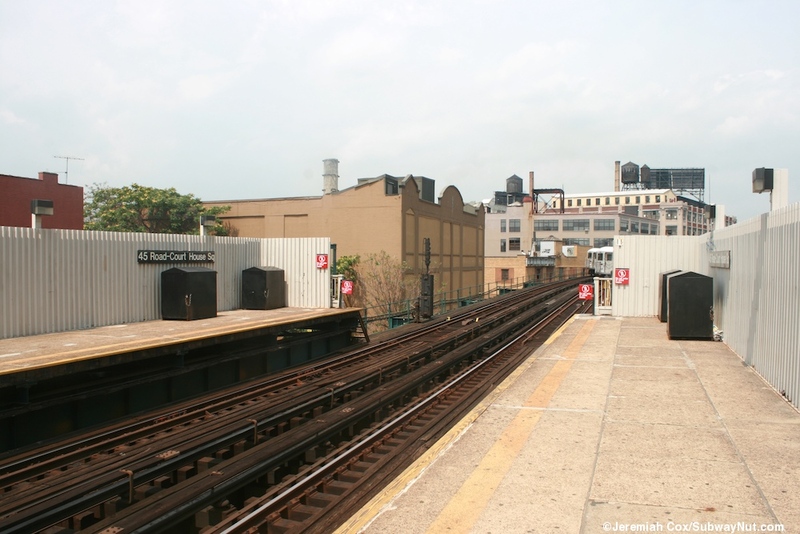 There used to be an exit to the NW corner but the platform elevator replaced it.